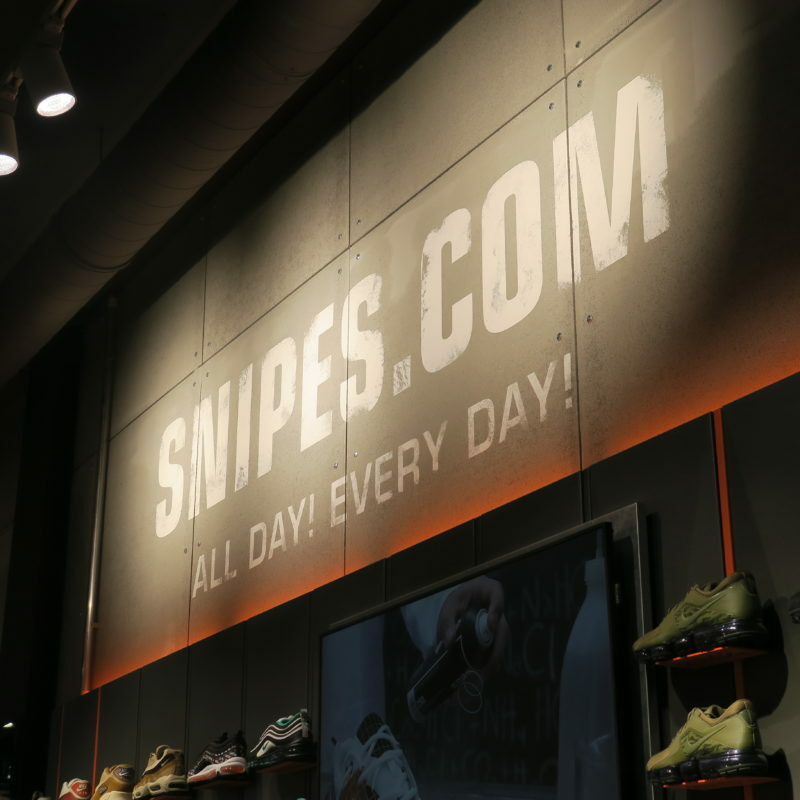 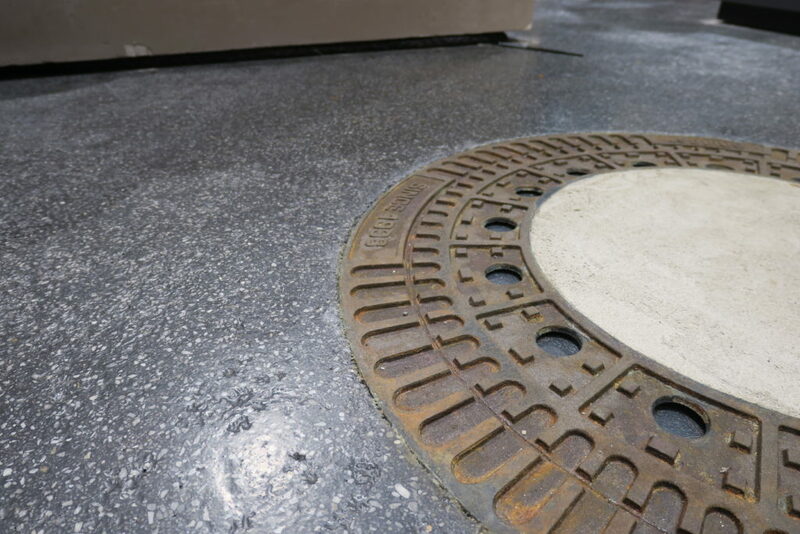 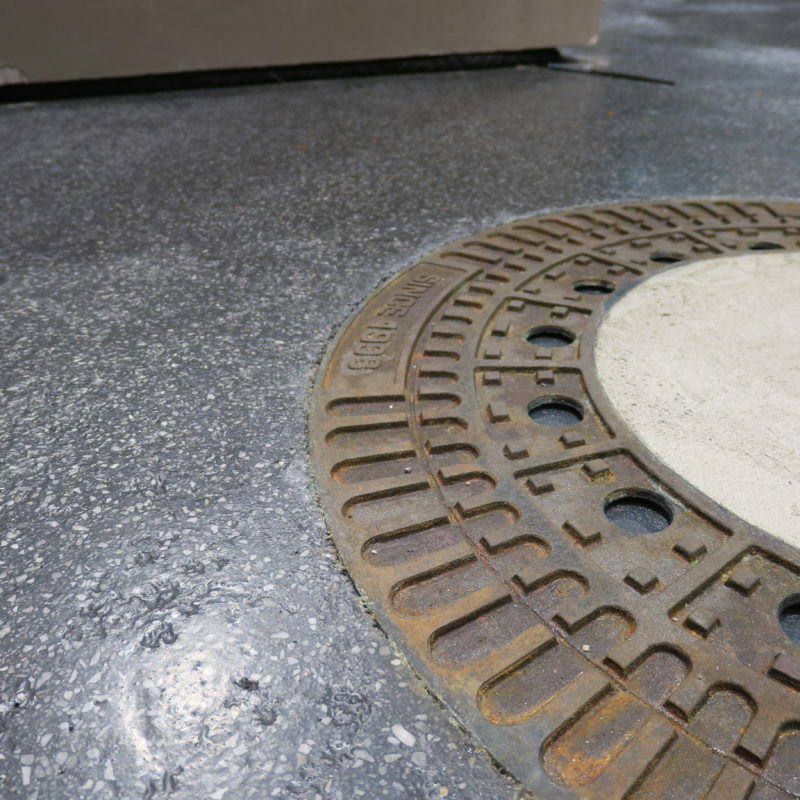 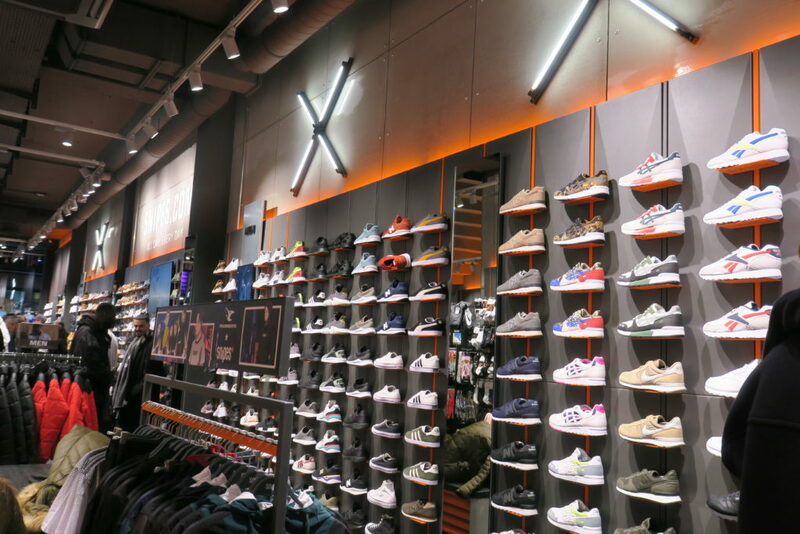 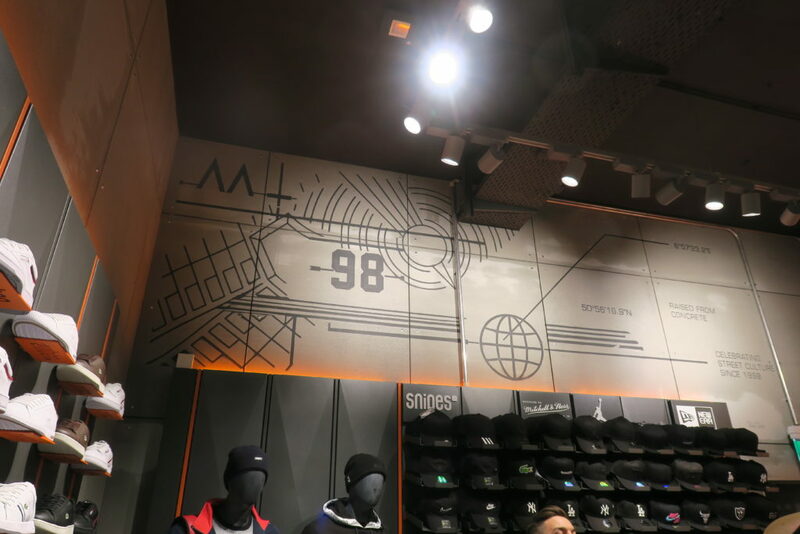 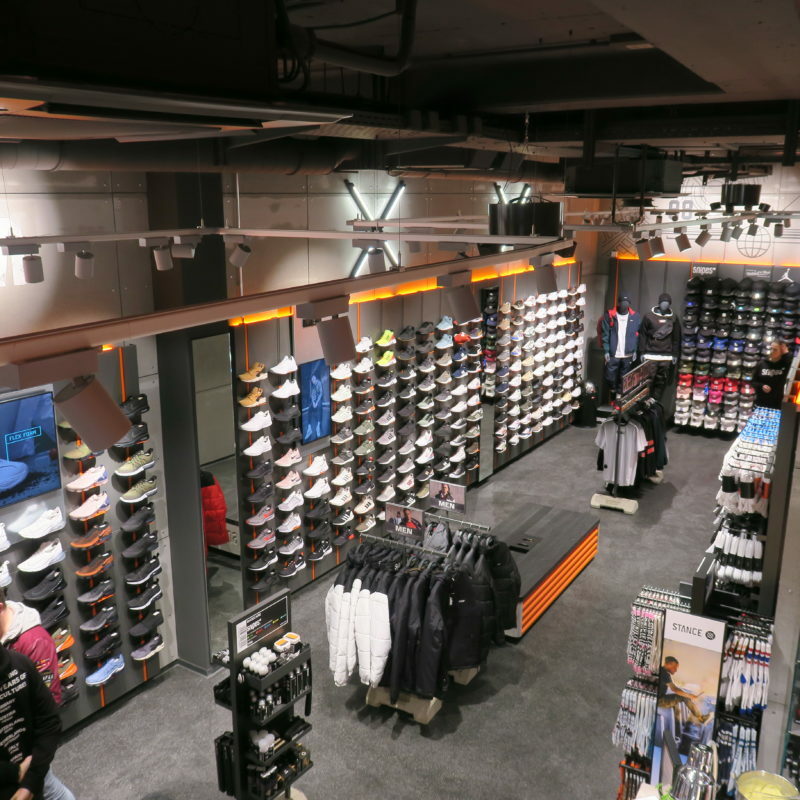 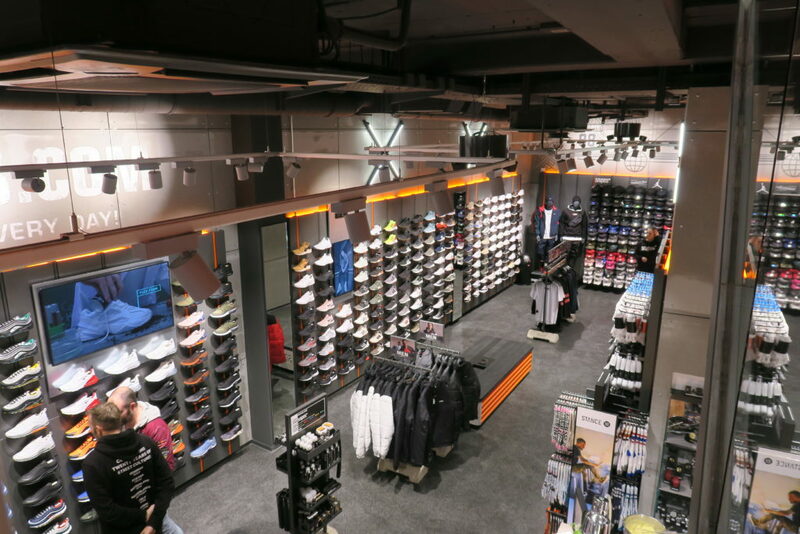 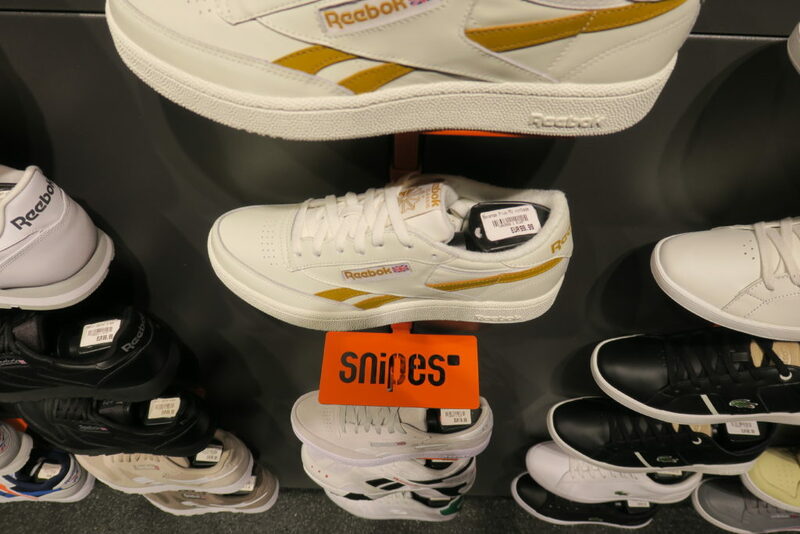 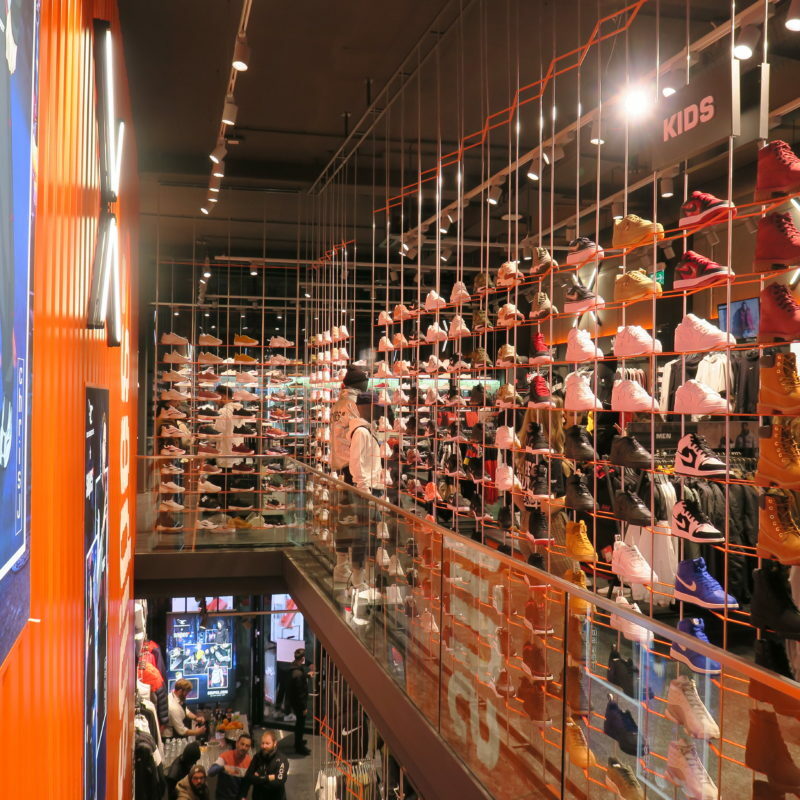 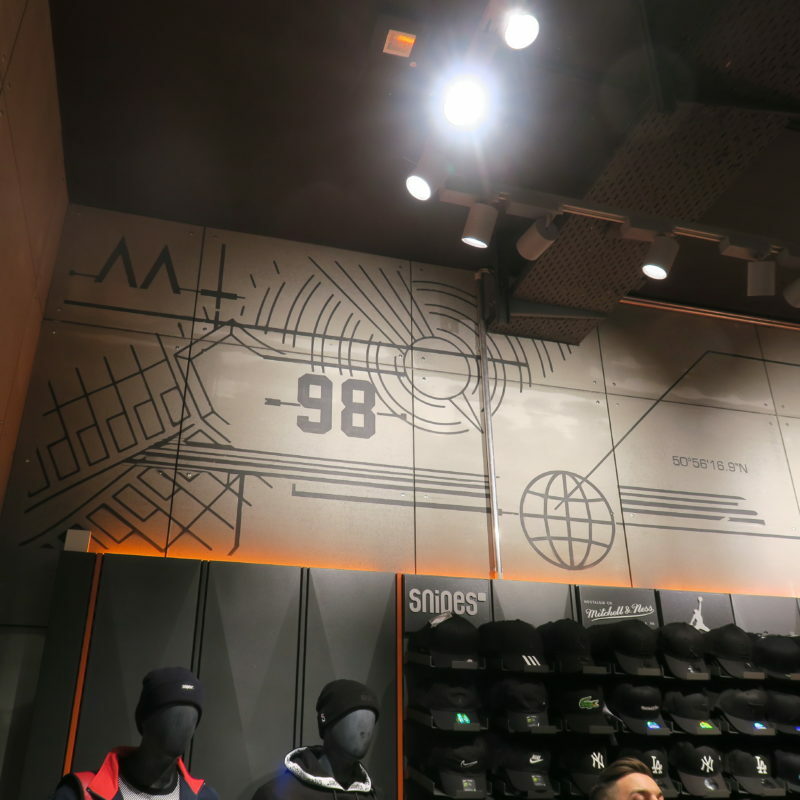 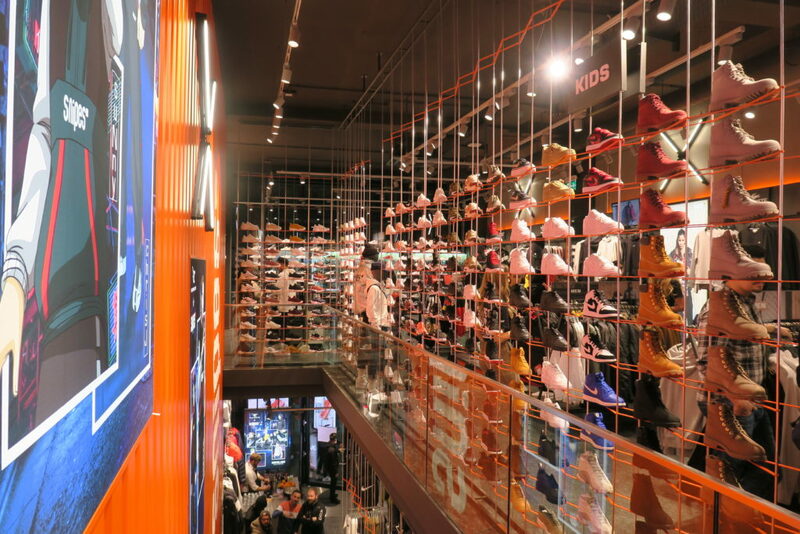 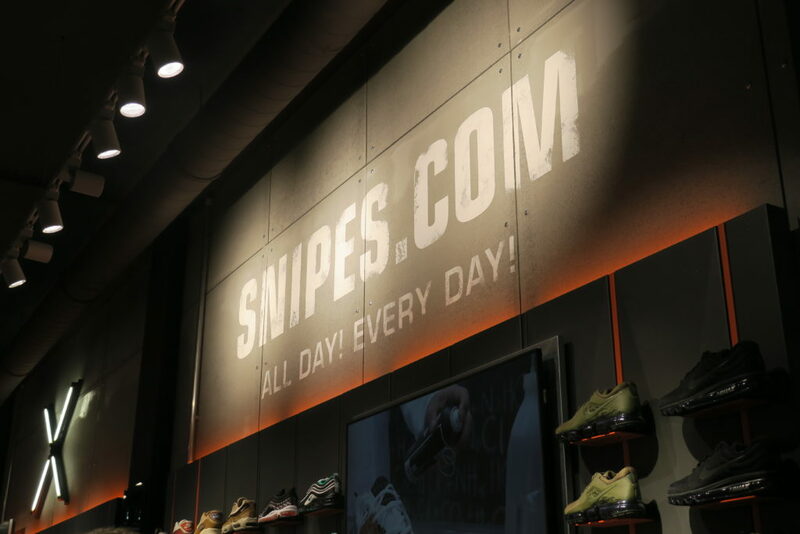 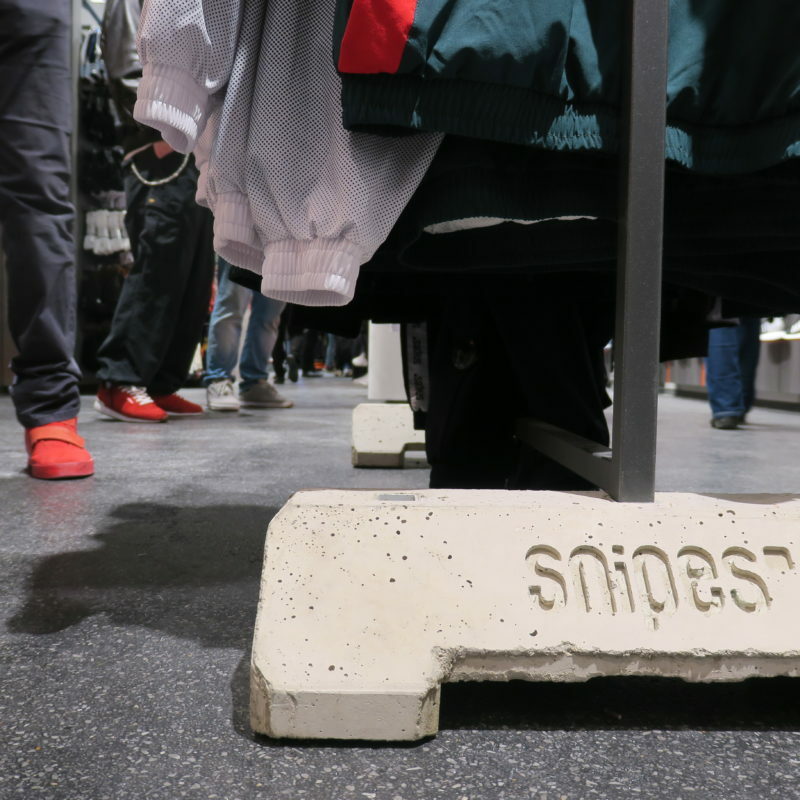 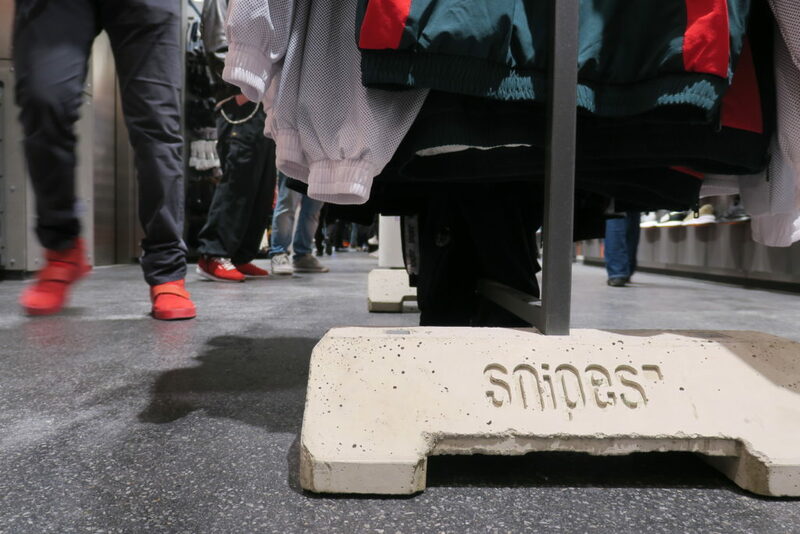 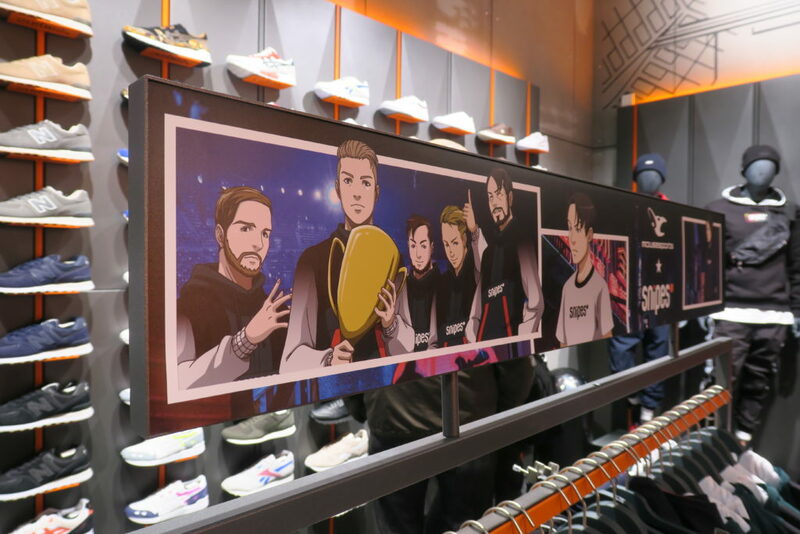 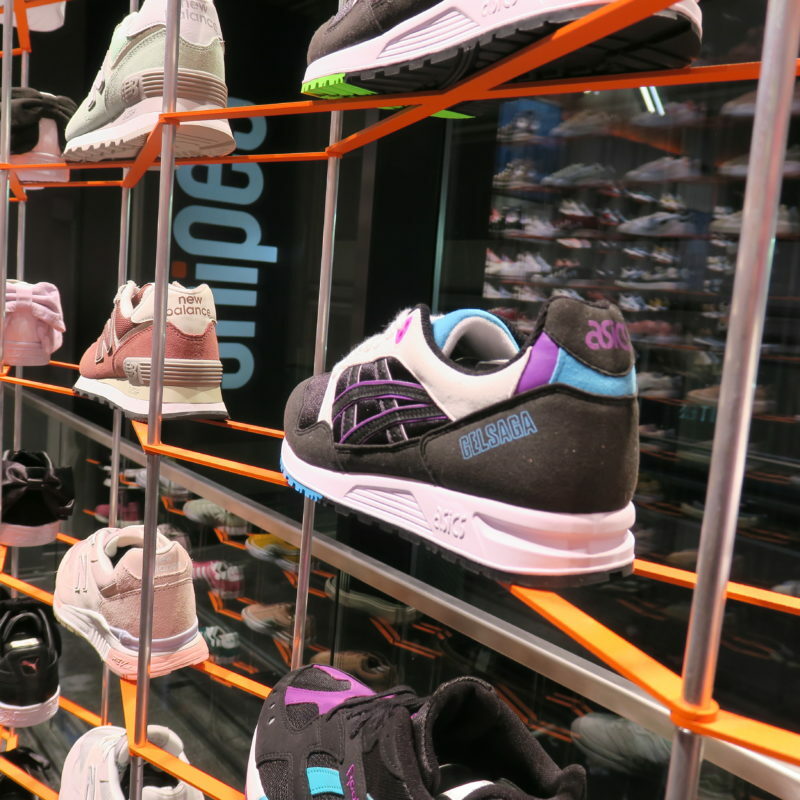 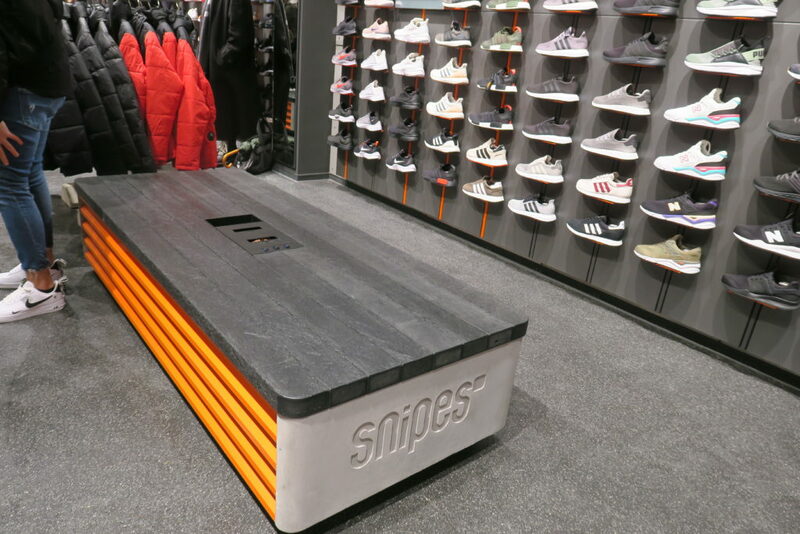 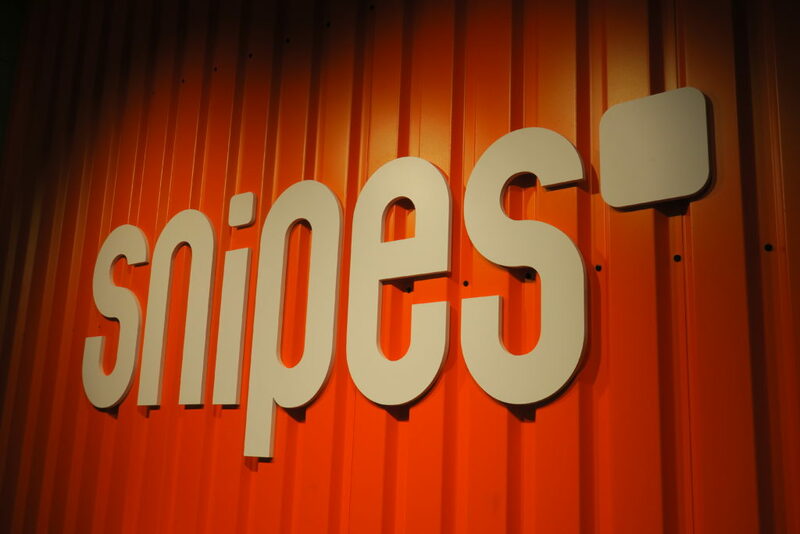 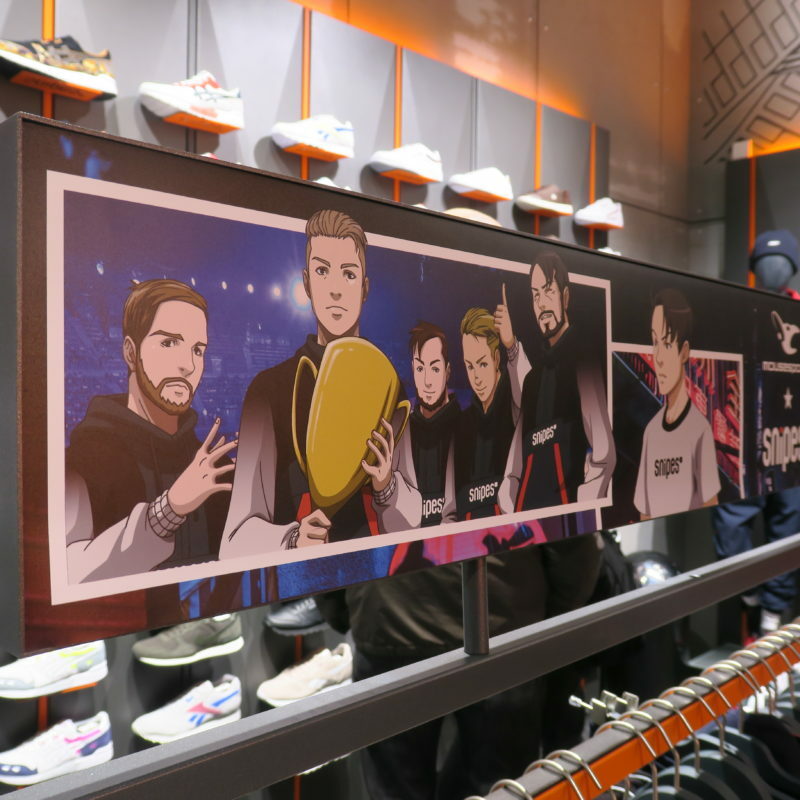 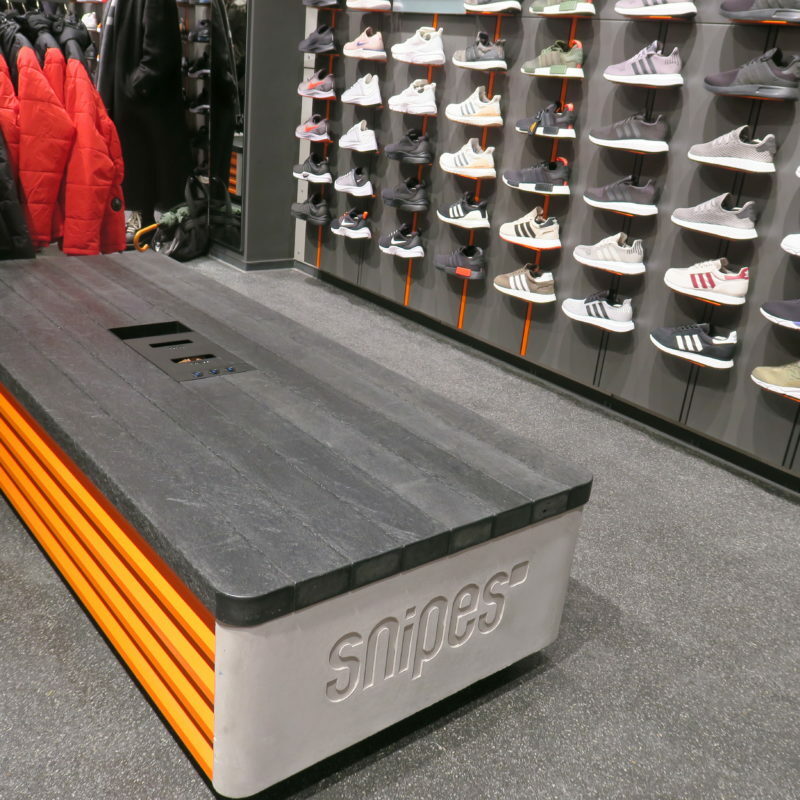 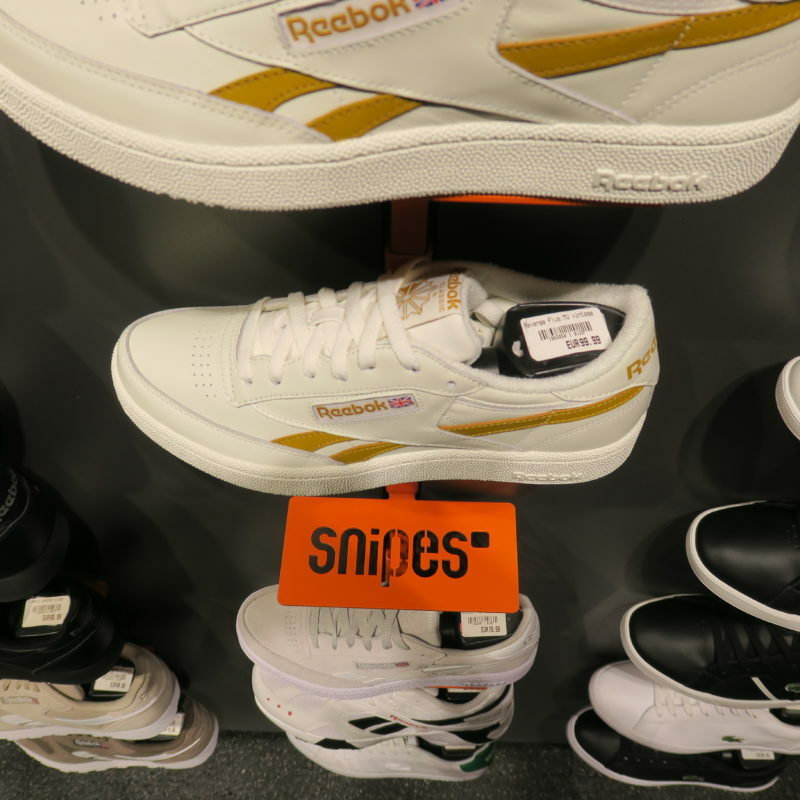 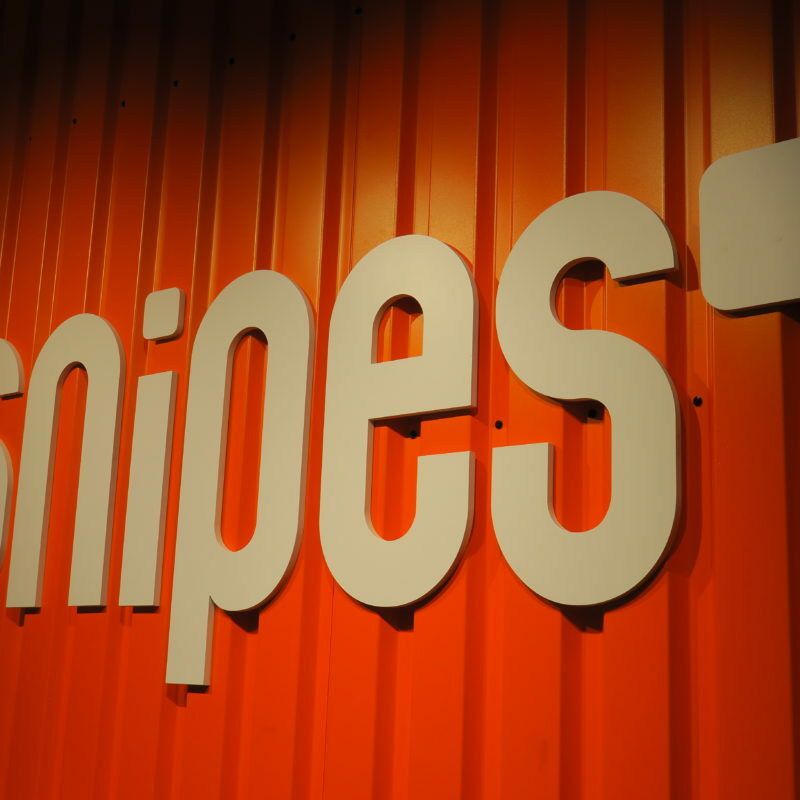 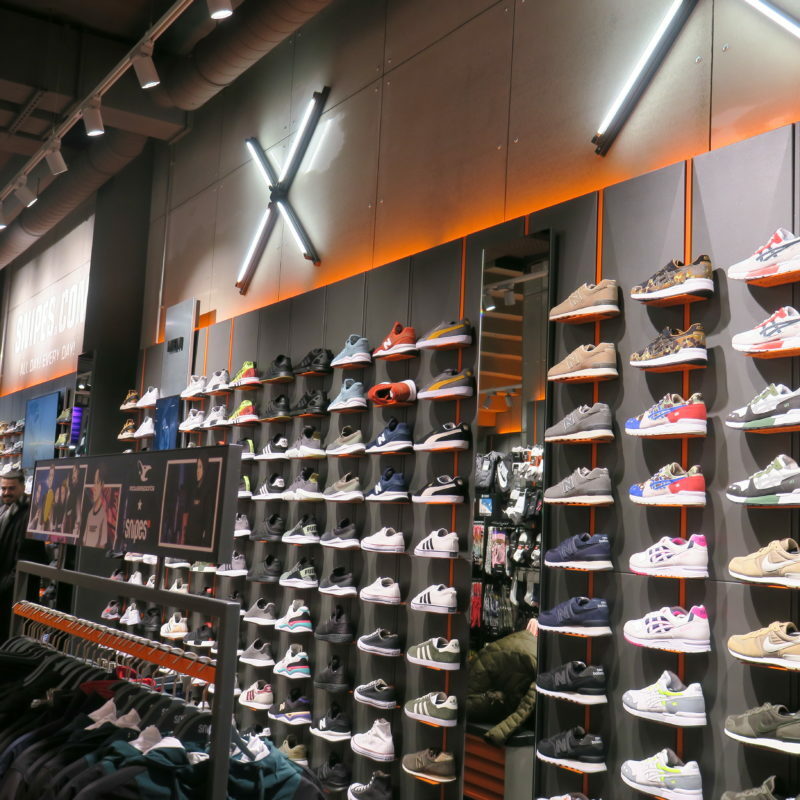 The reopening of the Snipes Store on Hohe Straße (“High Street”) in Cologne, Germany, has paid off: The design of the shoe store is based on the street look of hip-hop. 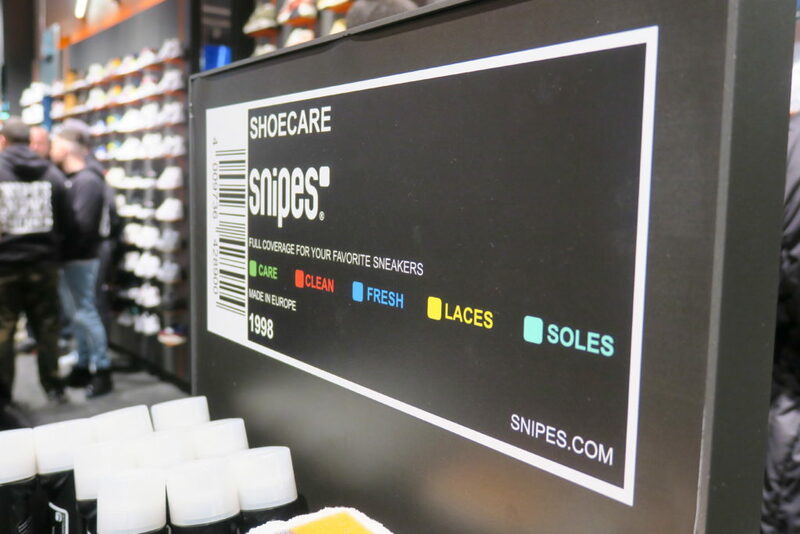 And digital elements offer customers new services. 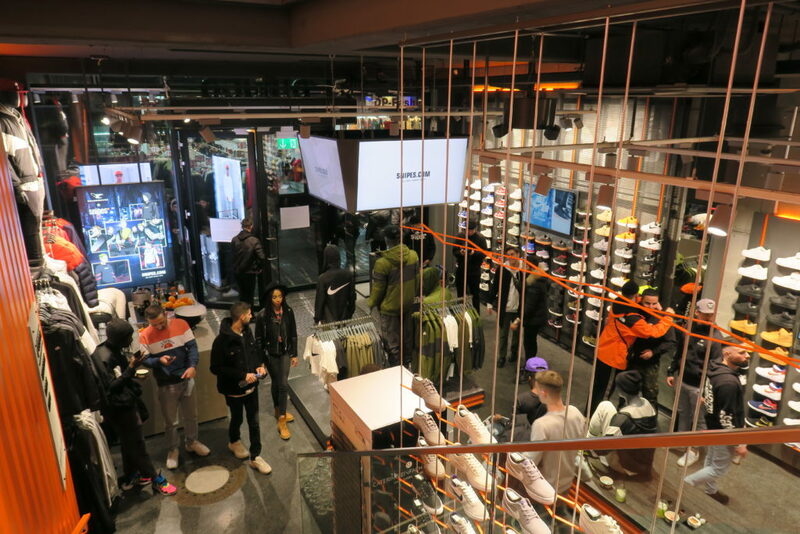 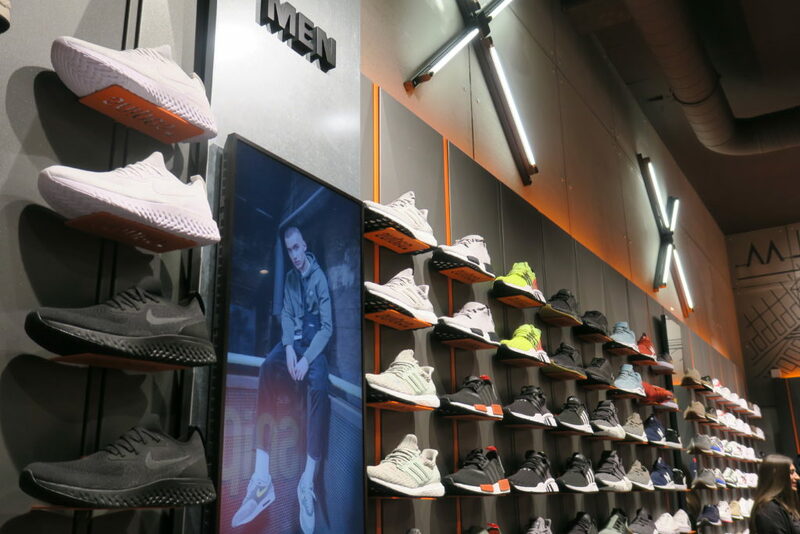 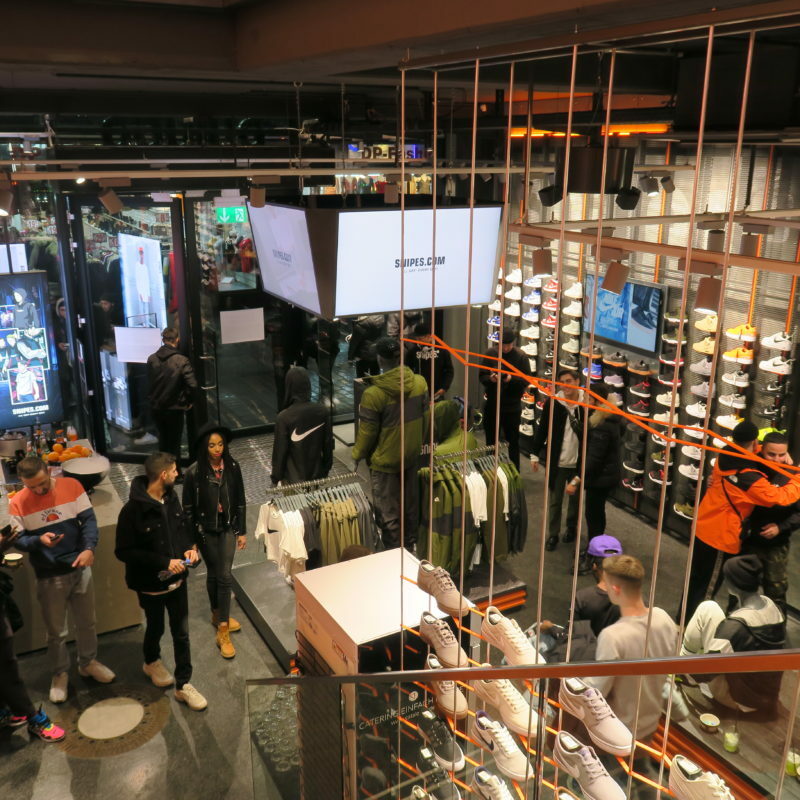 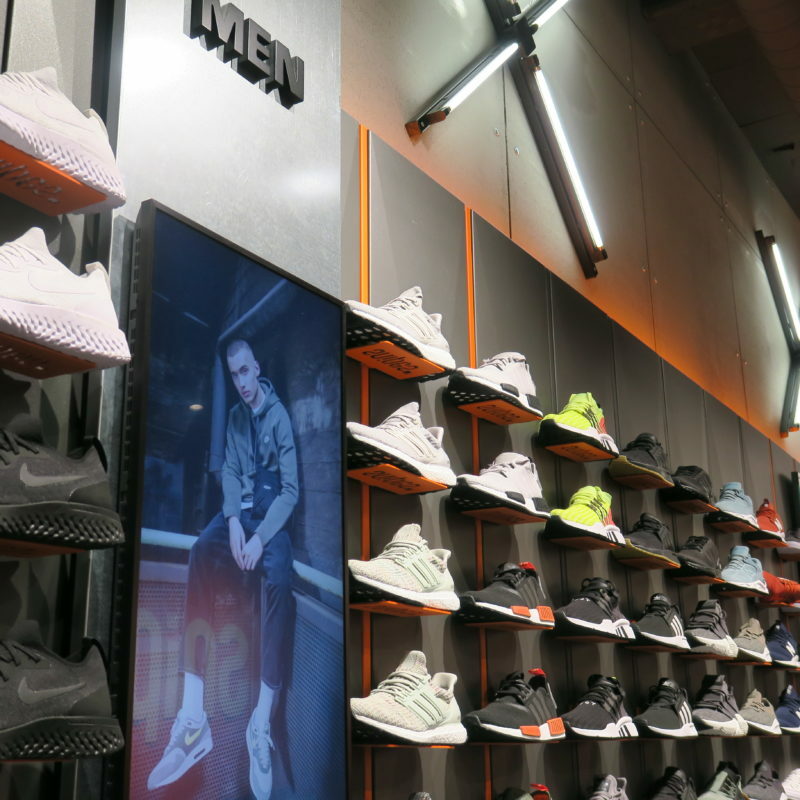 The store is supposed to be paperless, because all conventional posters have been replaced with digital screens on which videos are shown – sometimes with fashion and products in the foreground, sometimes with skaters and scenes from the hip-hop industry. 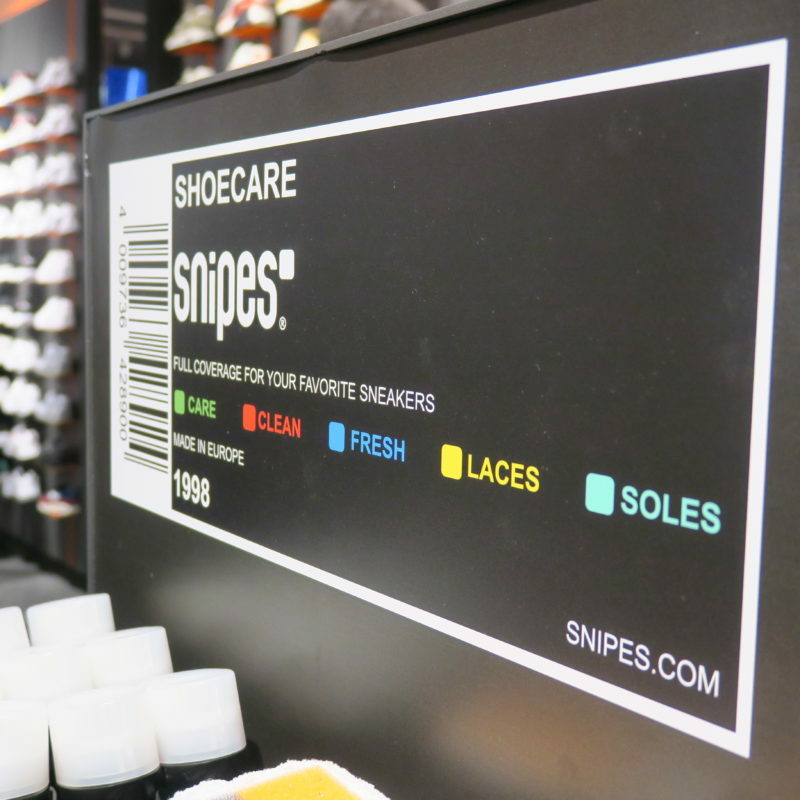 The checkout zone is tidy and clear – fitting the entire concept.